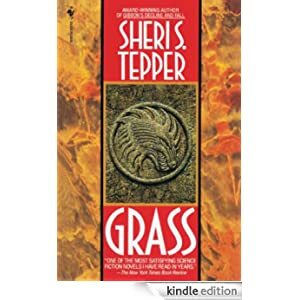 Generations ago, humans fled to the cosmic anomaly known as Grass. Over time, they evolved a new and intricate society. But before humanity arrived, another species had already claimed Grass for its own. It, too, had developed a culture. . . .
Now, a deadly plague is spreading across the stars. No world save Grass has been left untouched. Marjorie Westriding Yrarier has been sent from Earth to discover the secret of the planet’s immunity. Amid the alien social structure and strange life-forms of Grass, Lady Westriding unravels the planet’s mysteries to find a truth so shattering it could mean the end of life itself. Buy this sci-fi novel for only $1.99 today.